From special effects to startling perspectives on Scottish landscapes, boats and waterfronts – Spring Fling has a line-up of three highly distinctive photographers. In the case of Kim Ayres this year’s open studios weekend will be all about smoke and mirrors. 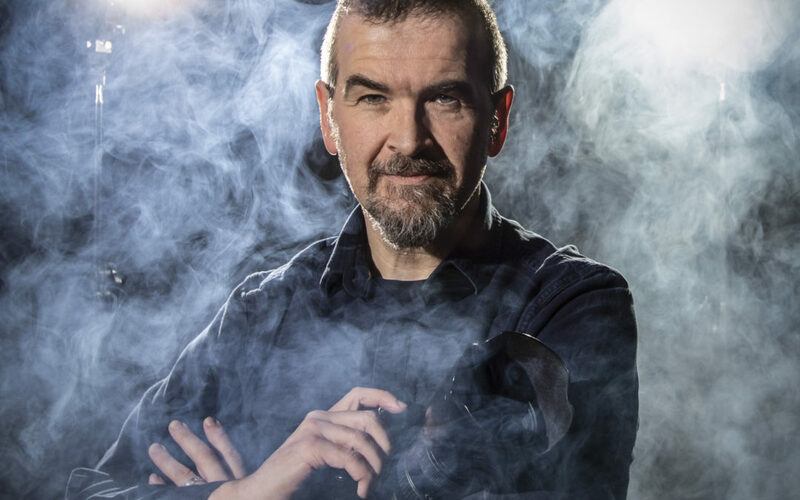 Kim will be giving hourly live demonstrations of how he uses lighting and a smoke machine to create dramatic set-piece shots, often based on ideas from movies, TV dramas or books. He said: “With the right skills and equipment the only limit to what you can do with photography is your own imagination. I love working with people to create pictures where they can feature as a hero, villain or anything else they want. Recent work by Kim has included a group shot inspired by the TV series Peaky Blindersand taken inside an old Dumfries warehouse. A vividly contrasting style of photography can be seen in the work of Alistair Hamilton who has a fascination with detail in the human and natural world. This includes unusual and intriguing images of boats and watersides, and rocks, trees and lichens all round Scotland and abroad. Different again are the photographs of Phil McMenemy who has a fascination with light and weather in the Scottish landscape and has recently been taking pictures on Orkney. Spring Fling is a much-loved annual feature of the Scotland’s cultural calendar. This year 94 studios across the beautiful region of Dumfries and Galloway, throw open their doors to the public between 25 and 27 May. Joanna Macaulay, Events and Exhibitions Manager for Upland which runs Spring Fling, said: “The quality and diversity of our photographers means they are always an important part of Spring Fling. Kim Ayres: Meikle Knox House, Castle Douglas, DG7 1NS. Alistair Hamilton: Ross Cottage, Ross Bay, Borgue, Kirkcudbright, DG6 4TR. Phil McMenemy: The Gallery, Laurieston, Castle Douglas, DG7 2PW. Full details of all the artists and makers taking part are in the brochure or can be seen online at www.spring-fling.co.uk. For a selection of pictures see the DropBox link here https://bit.ly/2YkNluY or get in touch.